Fry sauce, or simply a ‘special sauce’ is probably the easiest thing to make and typically served with french fries. 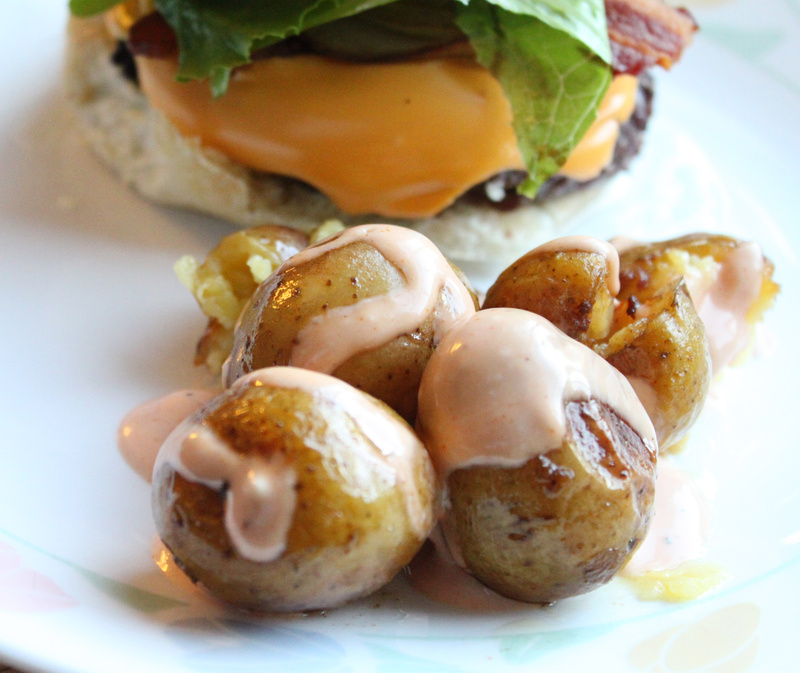 I think fry sauce can pretty much go on anything, including burgers, and fries of which I did. Fry sauce is a classic sauce and has been around for ages. Think of it as somewhat of a Russian dressing. The simplicity is essentially a combination of mayonnaise and ketchup, but I add a couple of different twists making this fry sauce super addicting one. Let’s get started on this excellent condiment. Add everything but the hot fries to a mixing bowl. Mix well. Cover and place in the refrigerator for later use. When you are ready to serve, drizzle onto your hot fries (I used roasted garlic and rosemary baby yukon potatoes), or serve on the side. I also smeared a generous amount onto my grilled burger. Talk about simplicity at its finest, and a delicious tang of a condiment to boot. If you are looking for all of that, give this one a shot, and feel free to double the amount for later use. Hope you enjoy!